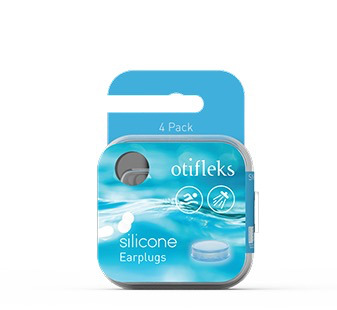 Otifleks presents the softest silicone earplugs on the market. You will experience a comfort that you have never felt before. You will experience a comfort that you have never felt before. 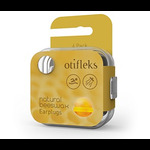 Hygienically manufactured and compressed between two protective plates, Otifleks is made from pure medical grade German silicone so you have the most comfortable experience. You will be the first person to touch or handle the earplugs. The partitioned carry box, separates the earplugs, preventing any possible spread of impurities from one to the other. 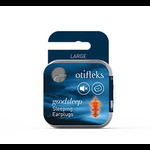 Otifleks was developed and manufactured only subsequent intensive consultations from leading physicians and medical professionals. They conform to Australian and European Union regulations. Pure medical grade silicone- non-allergenic. Formed between two protective plates without a touch of hand. Suitable for new borns, children and adults of all ages. Pack of 4 mouldable earplugs (2 sets). Please do not insert the earplug into the ear canal. It is designed to seal the ear canal entrance only.